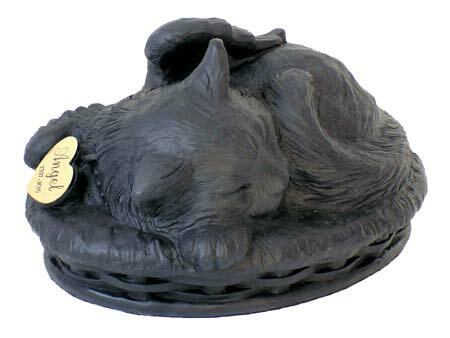 The Angel Cat Cremation Urn is black and will add soothing comfort to your precious memories of your beloved cat. 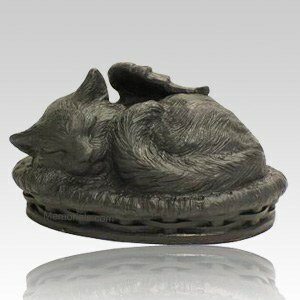 The cat urn is crafted of polymer resin which has the color mixed in. Each urn can be personalized with an optional engraved plaque that can be applied on the rear.